In terms of vacations, I’m more of an adventure kind of girl versus an all-inclusive traveller but my experience in Nassau was 12/10. Here’s what you should do when you’re there. We stayed at the RIU. Check out Hotel RIU here. It’s situated right beside the Atlantis (which we will talk about in a sec.) and a 5 minute drive from the town centre. I can’t say enough good things about this hotel. 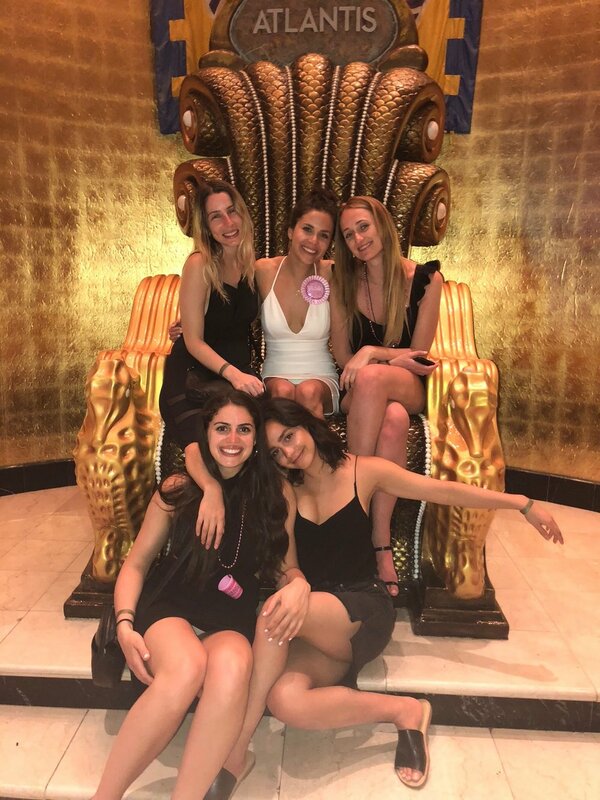 The staff went completely out of their way to make my sister’s bachelorette special by helping us organize surprises. The culture cultivates genuine and lighthearted people who are not as jaded as they probably should be considering the crazy amounts of demanding tourists they get yearly. My experience would not have been the same had the locals not been so open and loving with us. Aside from the incredible locals, the crowd that actually stayed at the RIU was a mix of people. They weren't huge partiers and they weren't overly reserved, but certainly somewhere in the middle. So, if you're looking for a high class, low key vibe--this isn't for you. Likewise, if you're in search of grungy parties all day and all night, this isn't that vibe either. It seemed that most people's daily flow consisted of fun activities during the day, paired with lots of eating (of course), and drinks at night. is there really such a thing as a bad beach? The sand is white, warm and fine, and the water is calm for swimming. When I was there, it was a bit crowded, but nothing unmanageable, on the contrary, it felt like we were in good company. The weather will stay consistently warm, year round, but you'll want to watch out for the rainy season. Real quick and dirty, here are a few of the day activities we took part in. But that's the long and short of it. The one redeeming quality about this town is the architecture. The buildings are quaint and brightly coloured. Take a snorkel out. There's some fish, but the vegetation is what's so incredible to see. I first got a snorkel that had a hole in it, so I returned it. Then I got one that tasted of someone else' chewing gum but I wasn't about to go back a third time so I thought, whatever. You win some you loose some lol. This is probably bad for our Mother, Nature, and the ecosystem but I did feed the fishies. Me and my sister went together and switched off driving. We took turns scaring the living crap out of each other. If you've never been jet skiing be sure to rip it out there. If you have been jet skiing before, be sure to rip it out there. I'll start by saying this one is not cheap. I believe I paid over $200 CAD. I warned you. The waterslides are a ton of fun. They have a few that aren't for the faint of heart. I had this idea that waterslides were innocent but I was wrong. 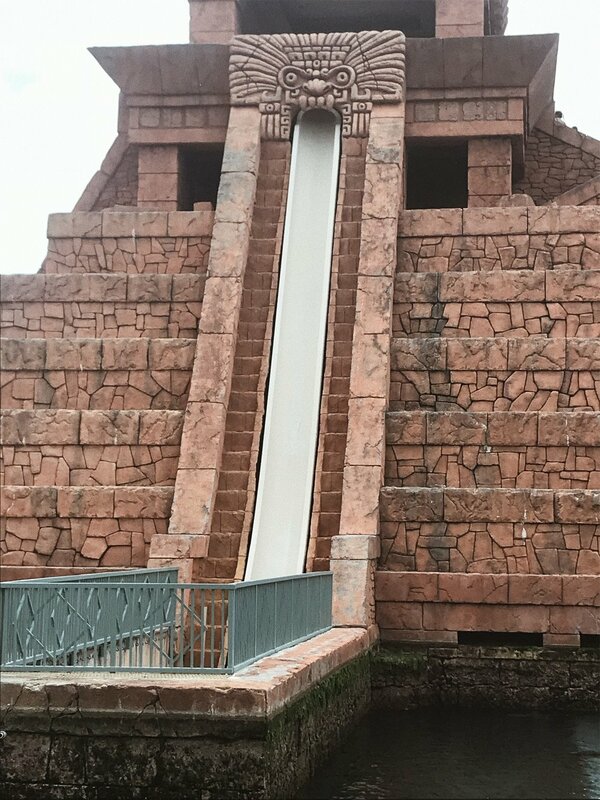 The main doozie is the Leap of Faith slide. You might have seen pictures of by now but, it's about 60ft of an almost sheer drop. I wasn't able to keep my eyes open on the way down. 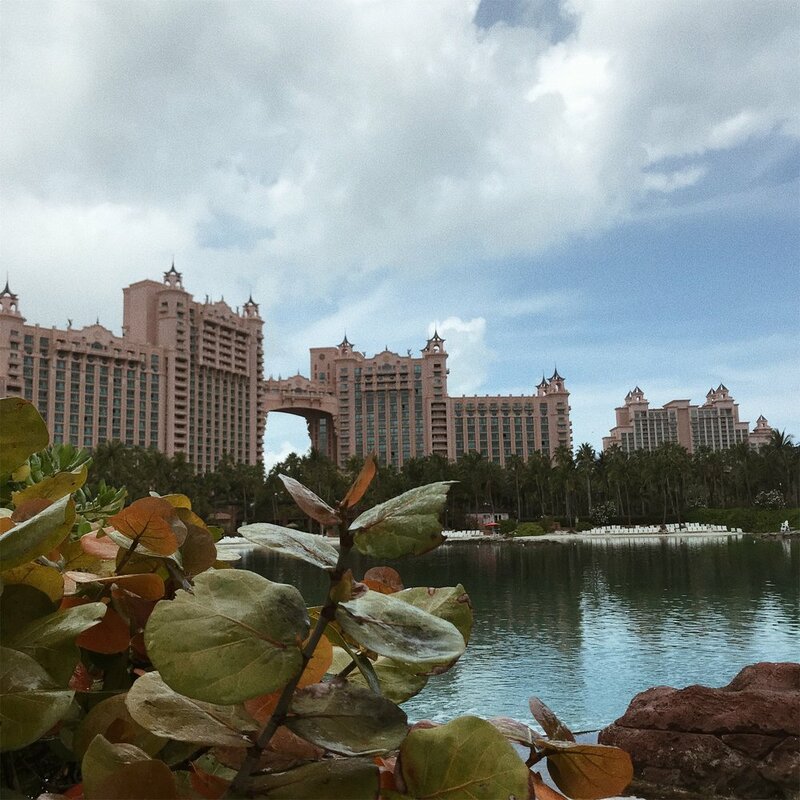 We swung over to the Atlantis for dinner at Olives. We didn't dabble much in the casinos, which I'm relieved about, because casinos make me sad. But we did hit up Aura Night Club. My thing about going clubbing, specifically in foreign countries, is that you can be in a standard club in Canada or Israel and not know the difference. It was fun though, I mean we did see a man in a money suit. If you have any questions or want general travel recomendations, leave me a note in the comment section below and I will personally get back to you! Otherwise stay tuned for that Glossier Body Hero soapless soap review I promised.